Bitcoin To Be or Not to Be? 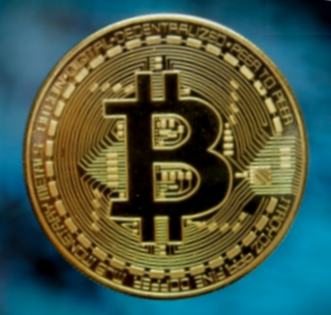 Despite the Bitcoin fanboys arguing that Bitcoin is untouchable by governments, would you agree that once governments, in particular, the Chinese government, make it unlawful to own Bitcoins, the additional introduction of proceeds-of-crime legislation would make it extremely difficult, if not impossible, to use Bitcoins to acquire assets, and dealing a permanent blow to Bitcoins’ value? At some point, Bitcoin owners need to be able to interface with the real market to buy assets, and that’s where the government can catch them and ask them to prove how an asset was acquired. Will you be giving a forecast on Bitcoin’s price at some point? ANSWER: Bitcoin has replaced gold as the hot anti-establishment medium which has been gaining momentum. In light of India canceling their currency, there is a growing position against government currencies. This is certainly part of the entire shift from a Public to a Private Wave on the Economic Confidence Model. 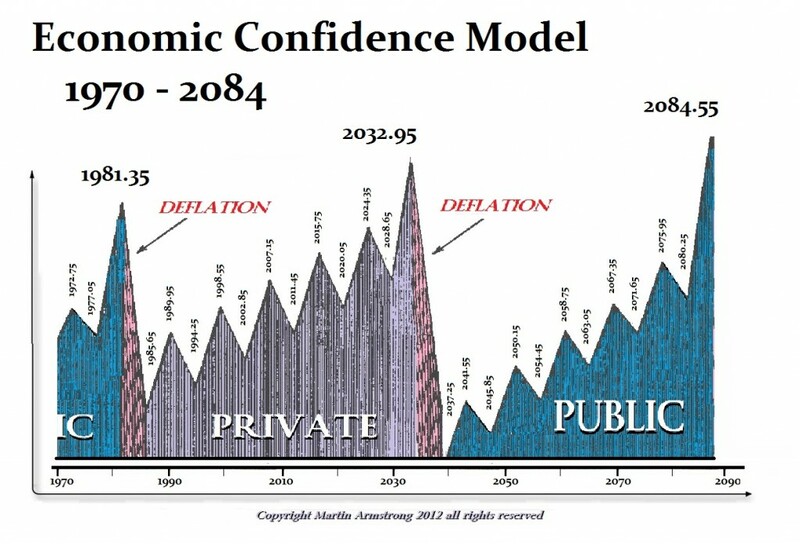 The overall confidence in government has been declining significantly on economic and political levels – i.e. the election of Trump, BREXIT, and Merkel collapsing to 32.5%. In a purely economic sense, Bitcoin is really the medium of exchange in a barter situation. That is what BARTER was all about. It was some object that was recognized as acceptable among a group of traders so it becomes the medium of exchange. The problem with Bitcoin is that it is limited and therefore does not represent a true currency that many expect to compete against the government when there is not enough to go around for everyday use among the people. Historically, when the government of Japan abused its power to issue money, people simply refused to accept it and used Chinese coins and bags of rice. Japan lost the power to issue its own money for 600 years. Even in Zimbabwe, the hyperinflation resulted in people using the currencies of other countries with the U.S. dollar at the top of the list. The same trend unfolded during the hyperinflation of Germany. There is a long historical record of people using the currencies of anyone other than their home government. We see this in ancient times as well. India, back in the day, struck imitation gold coins of the Roman Empire. They were often even overweight. Nonetheless, the image of a Roman coin was more trusted than a local issue. Much of the entire problem with Bitcoin stems from the fact that it is in a very gray area. Is it truly a currency or an investment product like a stock? Or is it just a commodity serving as a medium of exchange in a barter situation? The tax implications are strikingly different for each. If we look at foreign currency, the way this is handled is significantly different from shares. Any transaction under $600 is exempt from taxation due to fluctuation gains or losses. This is typically in play for those who travel on vacation. Exceed a transaction of $600 and you are liable to report that transaction gain to the government for taxation. Profits are theirs and losses are yours. However, when you are dealing with a currency, then you must always be aware of the crime known as Structuring which is the act of parceling what would otherwise be a large financial transaction into a series of smaller transactions to avoid scrutiny by regulators or law enforcement. In other words, you are going to make a transaction of say $35,000. To avoid the bank reporting that transaction, you withdraw $9,500, $9,500, $9,500, and $6,500. You beat the regulation and that is a crime for which the government commonly throws people in prison and confiscates all the money involved. 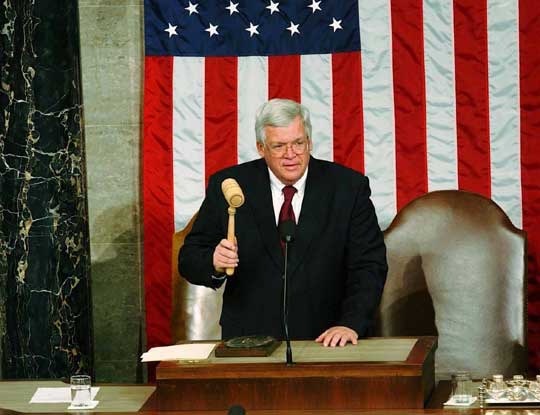 Dennis Hastert, the former Speaker of the House, was indicted by a grand jury on charges of structuring and lying to the FBI. Back in 2014, a Hartford, Connecticut man was sentenced to 18 months in prison for structuring $48,195 to buy a Corvette and a 2012 BMW 650i. They took the money and the cars. Also, a doctor from Georgia was sentenced to 36 months in prison and ordered to forfeit $870,238 which he engaged in Structuring to beat the reporting. This is far more common than people suspect. Retail stores accepting cash often have problems and must explain their operation to the bank to avoid the bank reporting them as a Structuring violation. Under stock investing, your stockbroker issues you an IRS report under the 1099-B form which accounts all your gains and losses. This is a major difference between currency and legitimate stock market investments. Under currency, you must report your gains and losses. As I reported previously, I retired from making-markets in precious metals because the IRS declare me to be a bank and thus a financial institution. In the case of the summons against Coinbase users, the Department of Justice demanded the turnover of everyone. There are no rules so those people will be audited. The IRS can simply make a rule and that will be the end of the issue. Congress has introduced the Cryptocurrency Tax Fairness Act which requires the Treasury Department to issue guidelines for informational reporting on digital currency transactions for which capital gains is due. The agency will make the rules and those rules are sufficient as laws that carry criminal penalties. The interpretation belongs entirely to them and the courts will defer to them as the expert. So much for courts being independent checks against arbitrary government. The critical issue will be what does the IRS do? Will they declare everyone who mines Bitcoin to be a financial institution and must then report every transaction of $10,000 or more as any financial institution? The regulatory burden will severely curtail those involved with Bitcoin. All of that said, what if Bitcoin is just a commodity? Normally, if I have an apple and I trade it with you for an orange, that is not a cognizable transaction for tax purposes. The problem with Bitcoin is its marketing as a currency. If polished white stones are the accepted medium of exchange and I give you one stone for that orange, the stone is the medium of exchange in which taxes can be imposed. Is Bitcoin the equivalent of that stone? Then it is a currency. If it is really just a commodity for all practical purposes economically speaking, then we are at the apples and orange swap. But that is unlikely. However, because it is presented as a cryptocurrency, it may be a duck that quakes as a commodity since it is NOT “legal tender” and acceptable by any government for taxes, but, if they call it a pig, it is a pig for tax purposes. It boils down to what will be the Treasury interpretation. Congress is worthless because they simply delegate to agencies to make their own rules and to violate a rule is criminal. That is another whole constitutional argument that delegating powers to unelected agencies defeats democracy and is unconstitutional. Bitcoin is available with Socrates basic level right now. 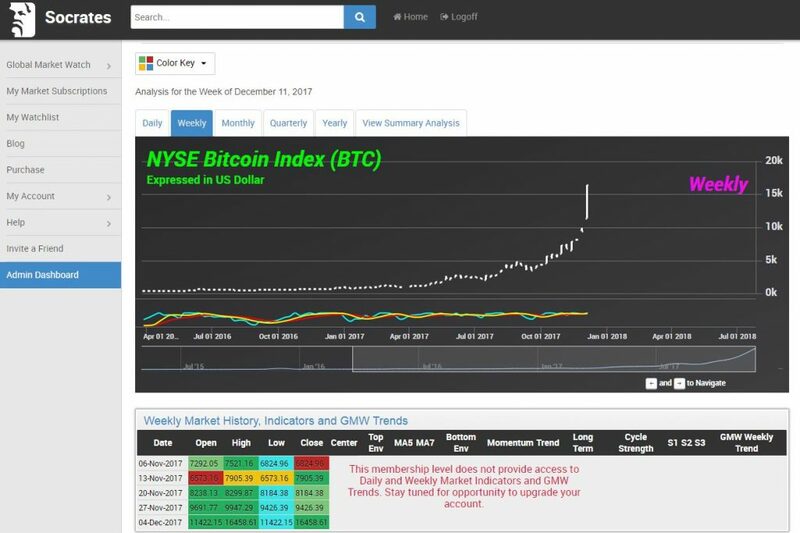 The Futures contract on the CBOE will make prices much more tangible since people can put up prints with just one Bitcoin trading at $17,000. The futures contract will for the first time put a legitimate price mechanism that is not as easily susceptible to fraud and market manipulations as cash markets are. Just go watch the Big Short. The banks would not make a real market until then off-loaded their own risks. That is why CDOs were regulated to go through a clearinghouse – no more off-exchange quotes. This advance for Bitcoin will be the first MAJOR step in really making it a viable market. Up until now, the quotes are always subject to fraud. It is easy to put up prints. Then everyone things all their Bitcoin is suddenly worth that new high price. Let everyone say SELL, and watch the price collapse. To be or not to be lies purely in the hands of the Treasury. Only their rule will define any cryptocurrency and the courts will never do their job constitutionally and defer to the agency. This very bad and unconstitutional undermining of our liberty is known as the Chevron Doctrine. It is how the third branch of government, the Judiciary, has become indistinguishable from the Executive Branch. It takes courage for a judge to overrule agency interpretation. « Bitcoin Phase Transition or Plateau Move?